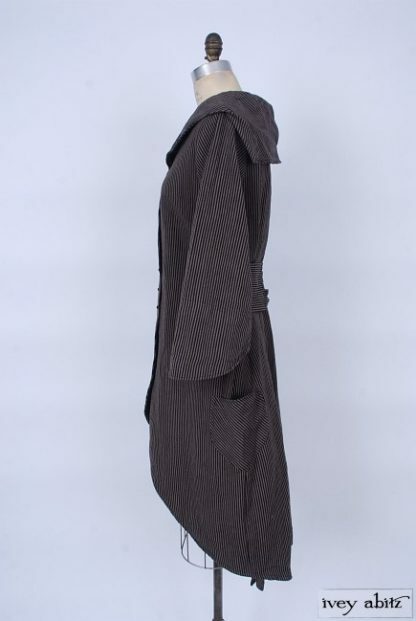 Our ode to the house on the hill, the new Arthur Hill Duster Coat echoes the curves and turns of the idyllic path home. Once you slip your duster coat on, you’ll be right at home, too. 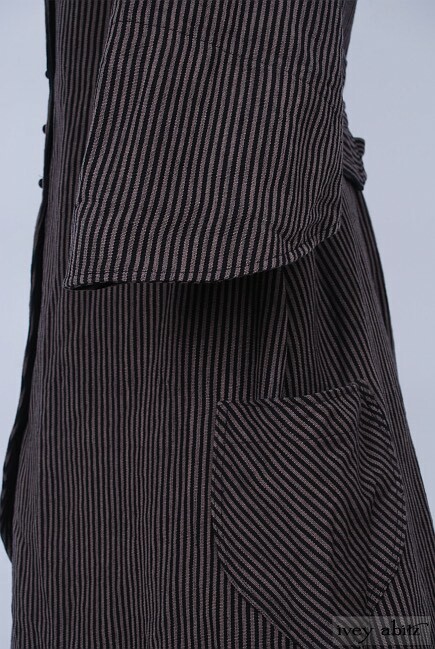 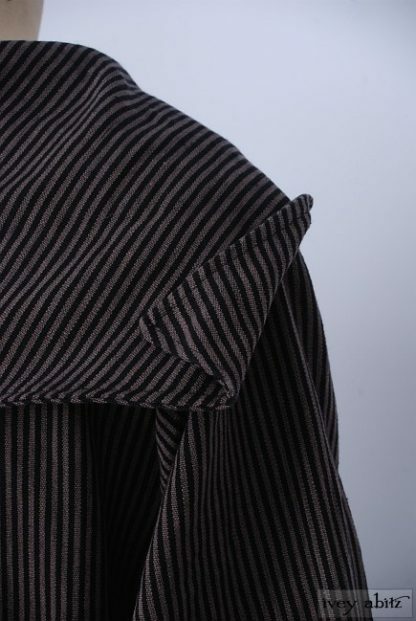 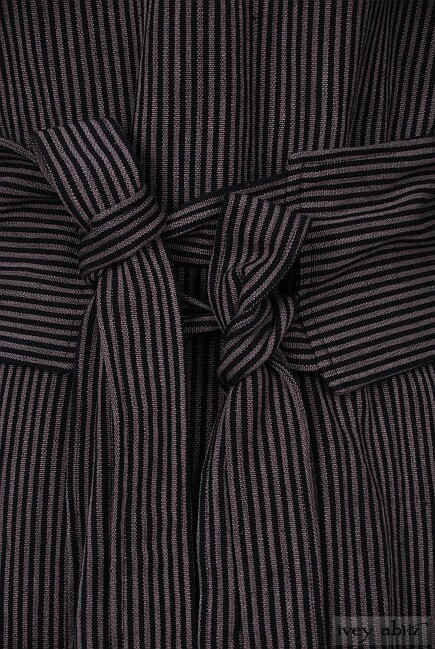 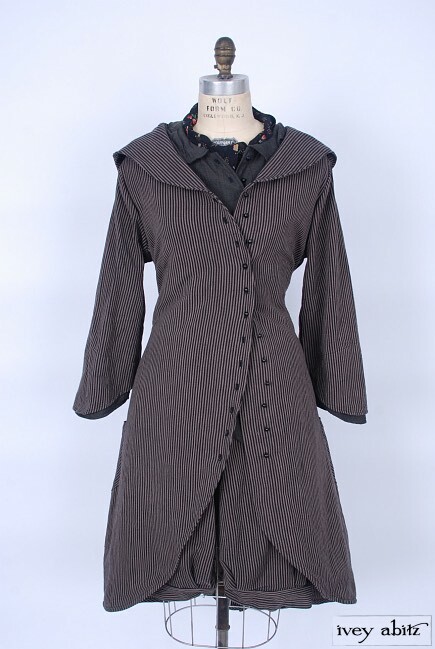 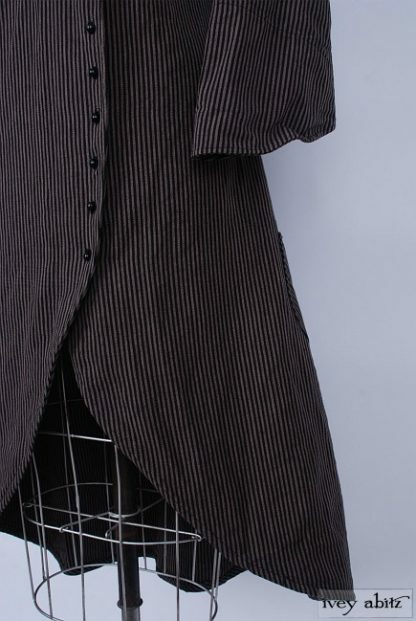 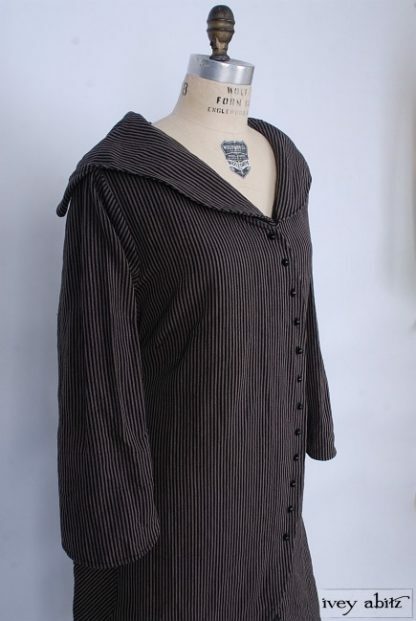 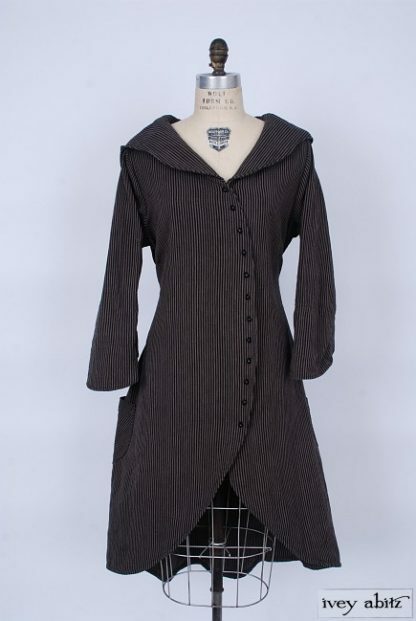 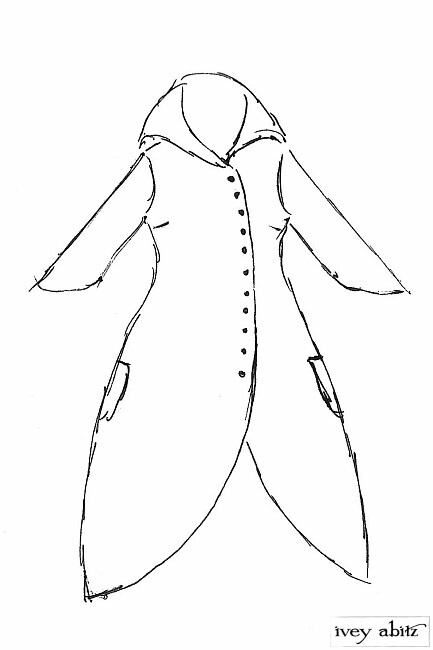 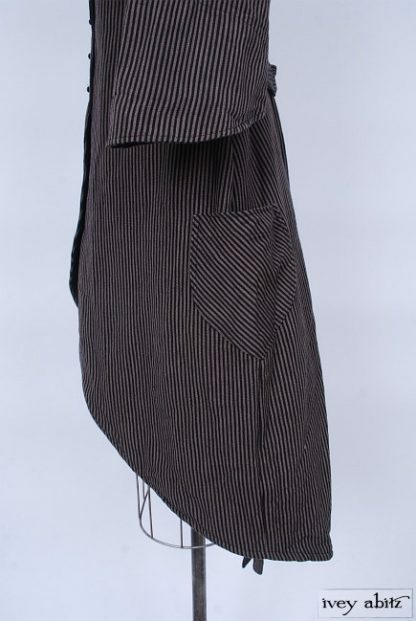 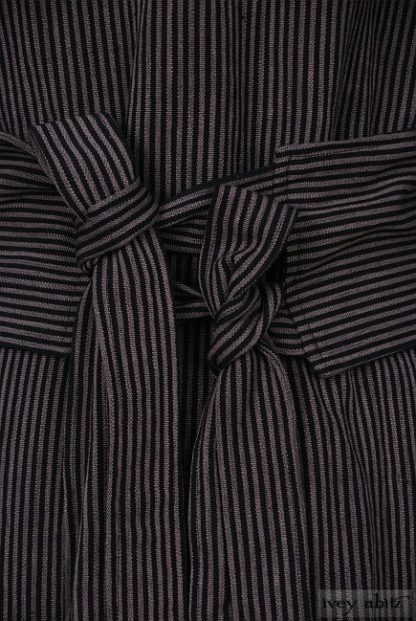 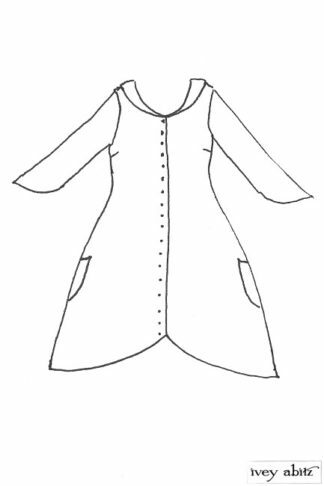 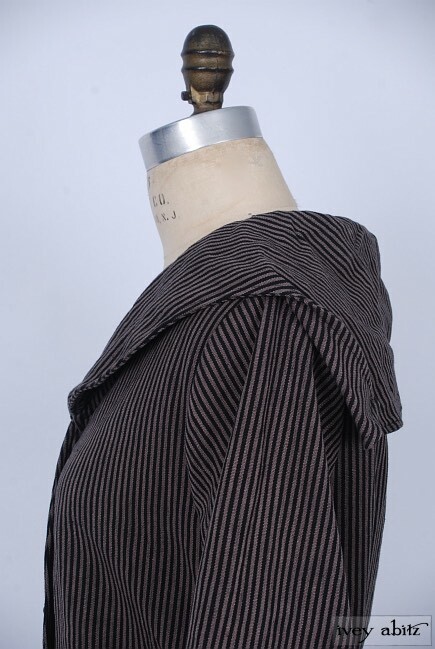 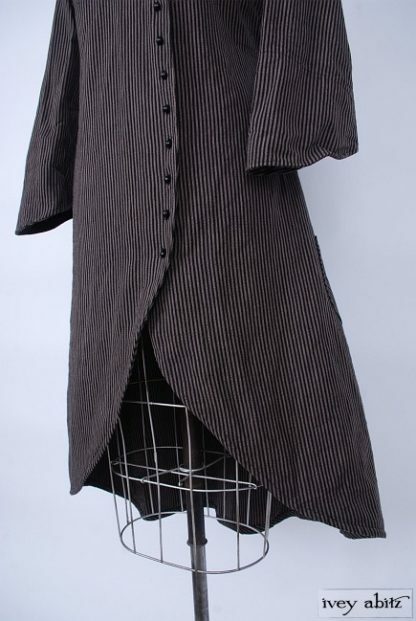 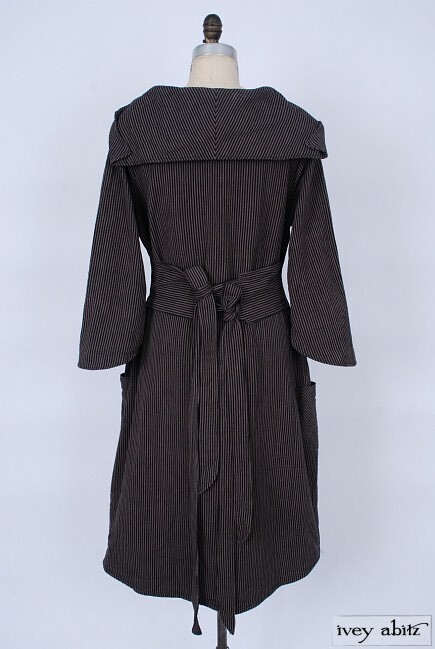 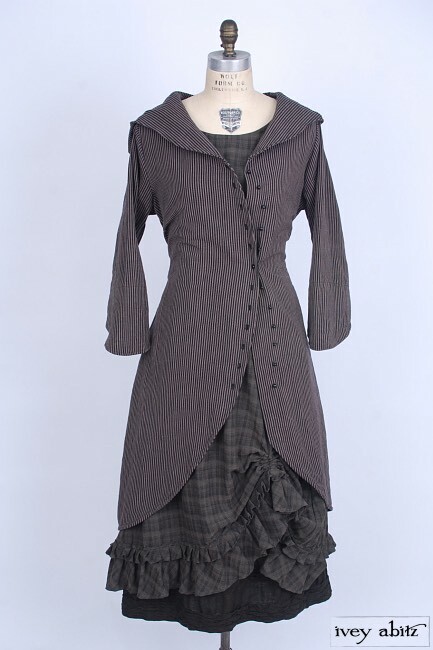 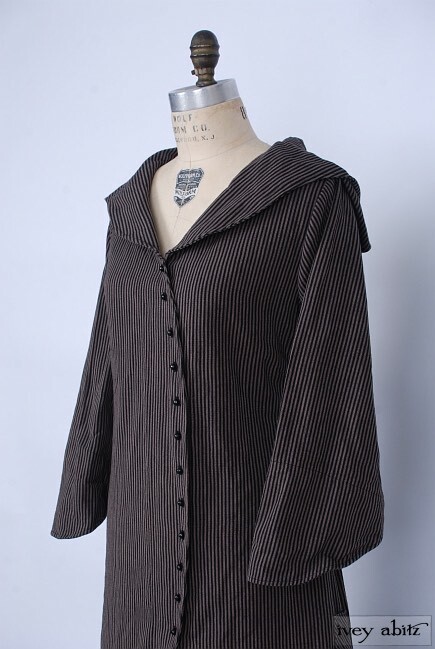 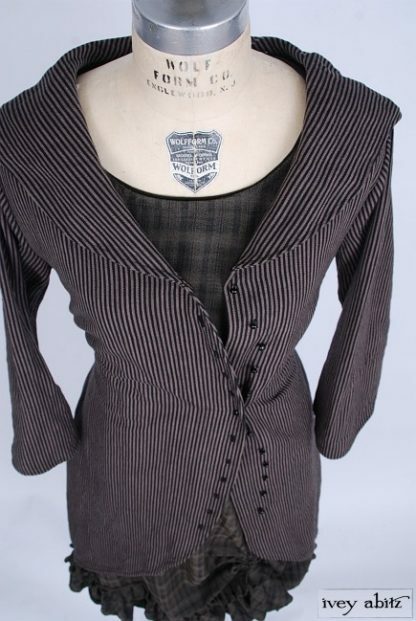 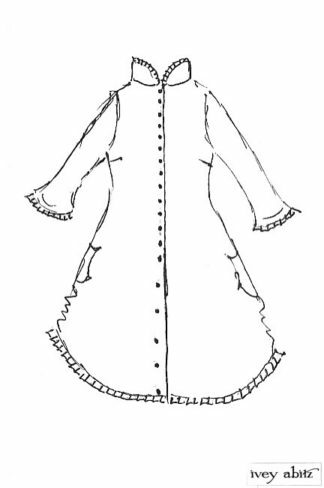 Rounded sweeping collar with turned up squared edges on the back of the duster. 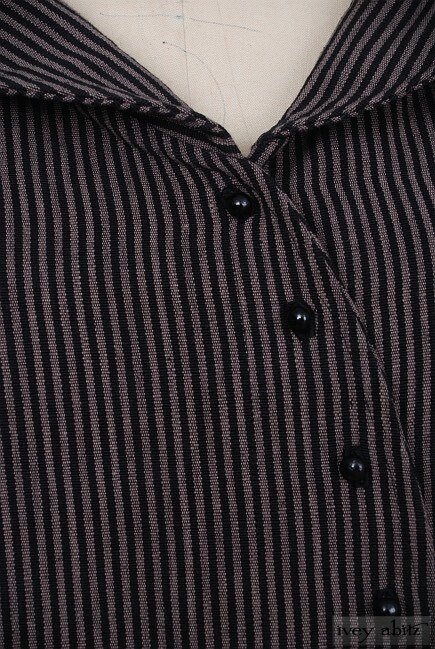 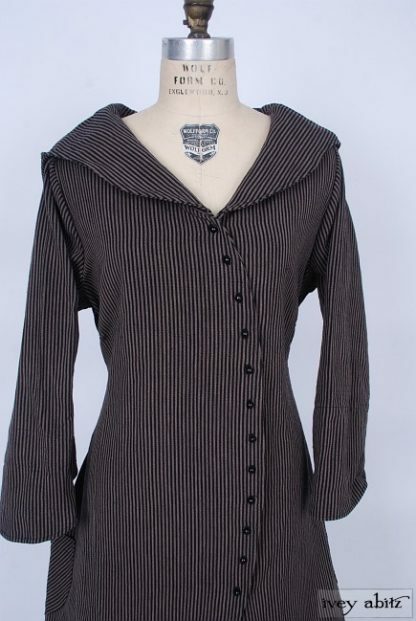 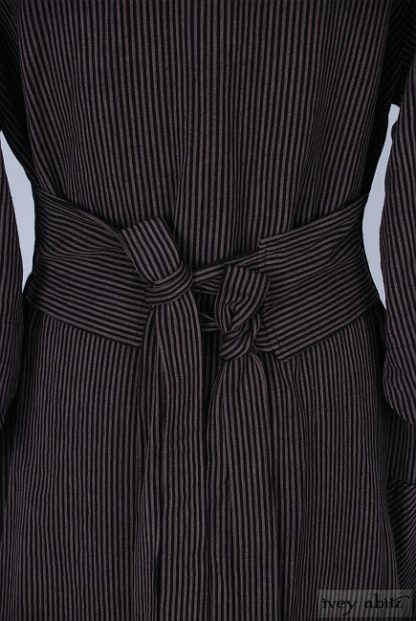 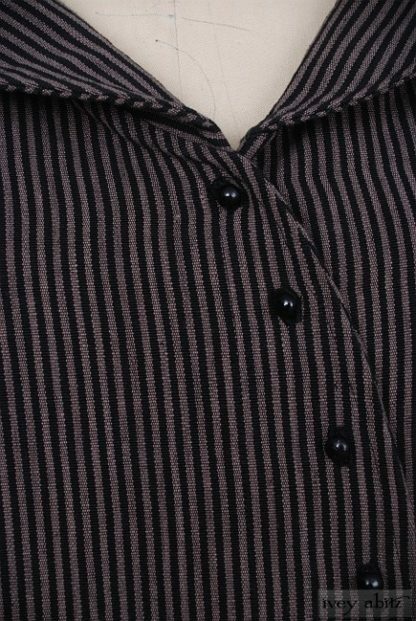 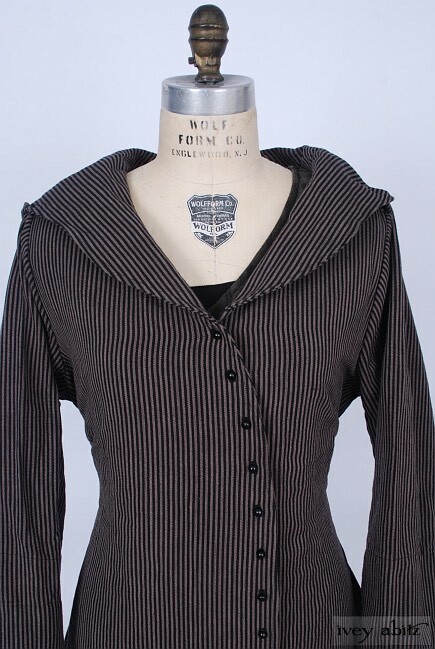 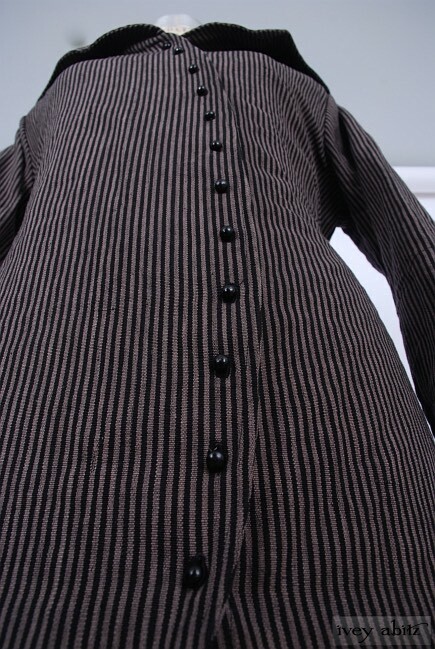 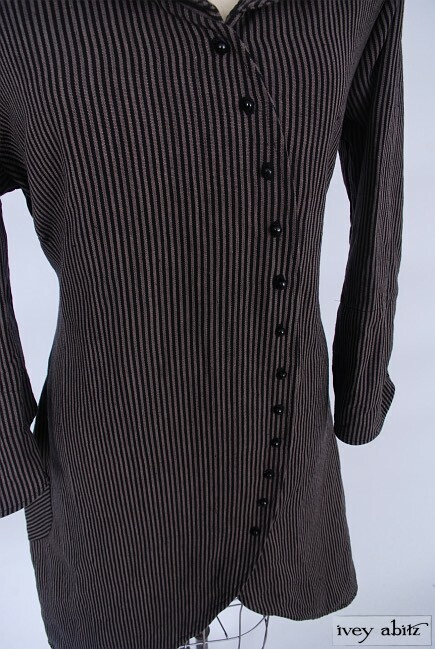 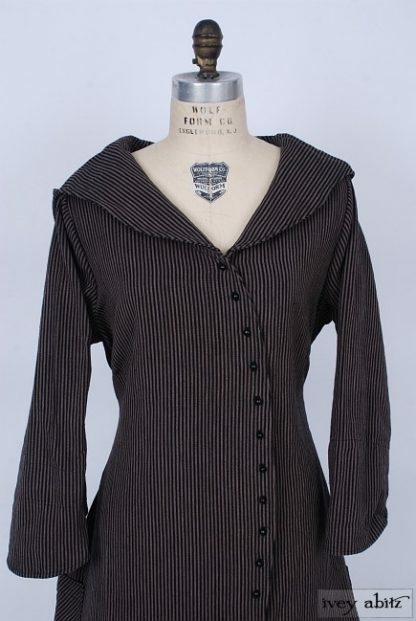 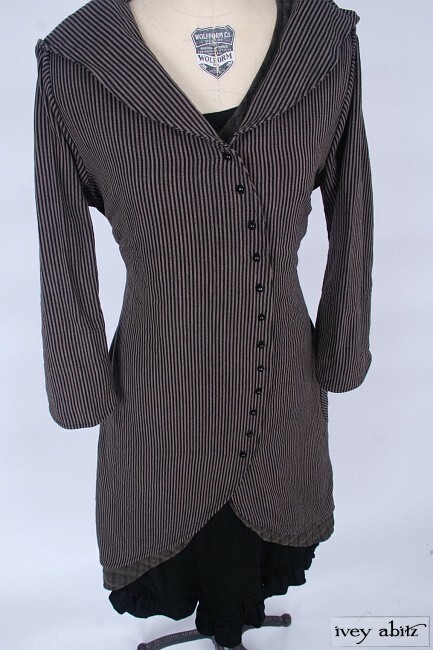 Lovely curved button placket creates an elongated and sweeping line on the body. 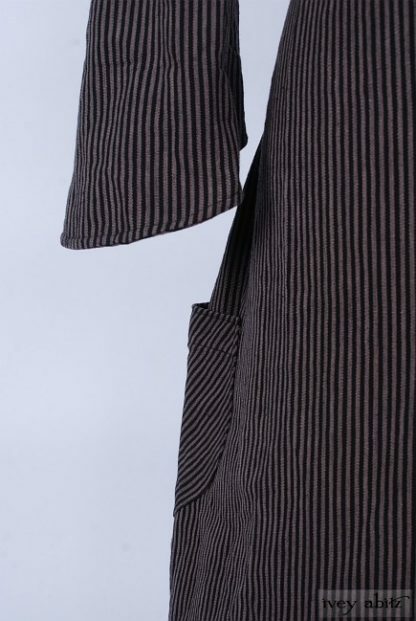 The open front bottom hem sweeps to a slightly longer back bottom hem. 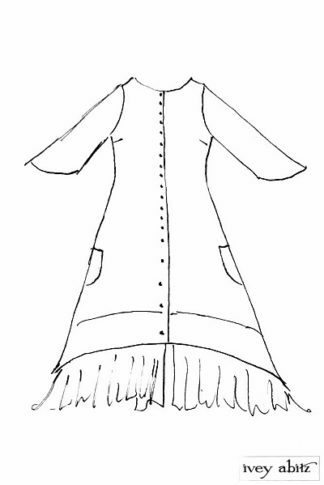 Flattering from all sides. 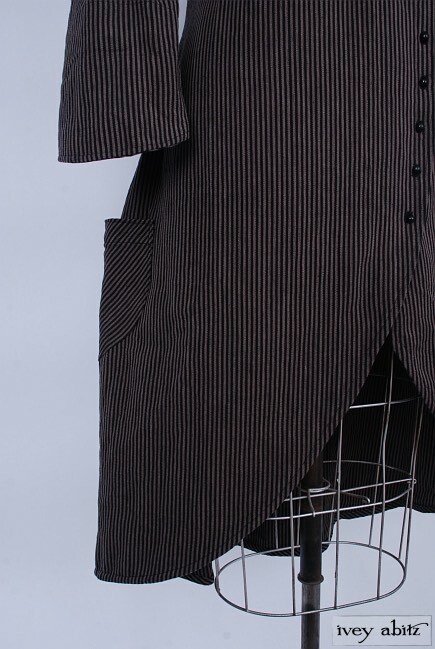 Optional side tabs and ties allow you to easily adjust the silhouette. 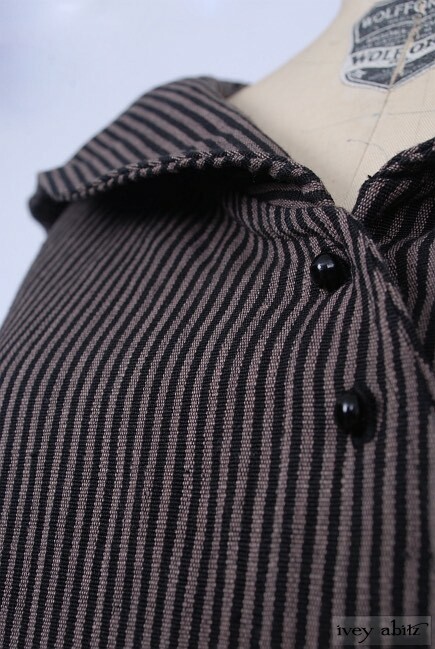 They give an incredibly comfortable and flattering fit when cinching in at the waist is desired. If you prefer a straighter and more relaxed silhouette, request to have the jacket made without the tabs/ties.